Most asset owners today hold 100 percent of the liability for their field assets, such as utility poles, towers and conduit. 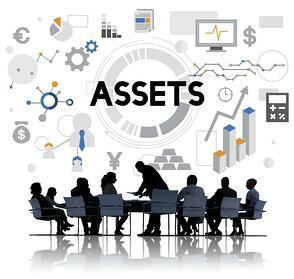 As asset owners know all too well, this means they are fully responsible for all of their assets' safety and compliance, even when bootleg attachers circumvent owner policies and procedures, and NESC and state regulations. This common situation can create excessive risk for field assets that endangers line workers, the general public and can hit asset owners with fines and fees. There is also little incentive for attachers to conduct their work the right way. While most attachers do strive to do their work correctly and in compliance with regulations and safety codes, speed-to-market pressures frequently push attachers to move ahead on their own. Consider the situation in which an attacher wants to get service to market fast, per usual. They try to do the right thing and permit properly, but come up against delays and communication challenges that slow things down. It's costing them money for every day their equipment isn't delivering service, so they make the decision to put up equipment on a utility pole on their own. In this example, there is no guarantee the pole can withstand the new load, since no load test was performed. If the pole falls down or breaks a few months later, people could be injured, property could be damaged, and the pole owner is liable. As more companies jump into the joint use space, this problem will continue to compound. Joint use contracts are under-appreciated for their critical role in field asset management. Many joint use departments and companies are holding contracts today that were signed decades ago and have essentially expired. The terms are outdated, and the companies may not even exist in the same forms anymore. Yet these contracts continue to be used in perpetuity. As contracts are eventually reviewed and rewritten, bringing the joint use industry up to date on modern day practices, contract language is more frequently requiring shared liability between asset owners and attachers. This is often included as part of the contract's indemnification clause. These fees and fines will establish new incentives for attachers to do their work the right way and to abide by the same regulations and codes that asset owners are bound by. As asset owners and attachers go through the process of reviewing and updating their joint use contracts, there are several important points to consider when establishing shared liability. Does the contract note administrative or application fees? Are there guidelines for recapturing engineering or make-ready fees? Are there defined timeframes as to when someone is in violation? Are there defined rates that can be collected when a violation is identified? Need help? Talk to us about contract reviews. At the same time, attachers benefit from a system to ensure they are billed for what the contract allows and no more. The attachers that can figure out efficient ways to comply and adhere to the process will become the most successful. The joint use industry is entering a new era of modernization. Learn about how to position your joint use business for future success with our free eBook, Joint Use Asset Management for the 21st Century.